Facebook launched new Facebook brand pages this morning – not on Facebook – but on the Today Show. The new pages take on the same look and similar features as individuals’ Timeline profiles. For instance, now on the social media site, brands can set milestones, star stories to highlight them within the timeline and upload a cover photo (but be sure to follow the rules). The new format allows brands to not only pin important items at the top of their page, but to “rewind” and share details and photos from throughout their history. This allows businesses and organizations to really tell their story. Journalists know storytelling is effective in capturing audiences, so if you haven’t already, follow their lead and personalize your brand. One of the intriguing features is that your friend activity is highlighted on the new brand pages. For example, I went to the Coca-Cola page and my friend’s October 2011 status update, which included “Coke,” showed up near the top of Coca-Cola’s timeline. I left the page, went back, and a December status update from one of my other friends was highlighted. This sounds great in theory – but what if my friend had said something negative about Coke? Can Facebook weed those out? It’ll be interesting to see how this plays out on different pages. The friend activity is one example of how Facebook is placing more prominence on engaging activity, such as conversation and community building, rather than simple “Likes” of a brand page. Along the same lines, the simple “like” buttons for status updates, photos, etc. are changing. Now, users can have the option to “read,” “watch,” and “listen to,” something. One feature lacking from the new pages is the ability to set a landing tab, which has ruffled feathers for some businesses and organizations who feel landing tabs are effective. We at DVL are looking into ways for businesses to best utilize the new pages and will virtually attend Facebook’s first ever Marketing Conference, “FMC,” today to learn more. 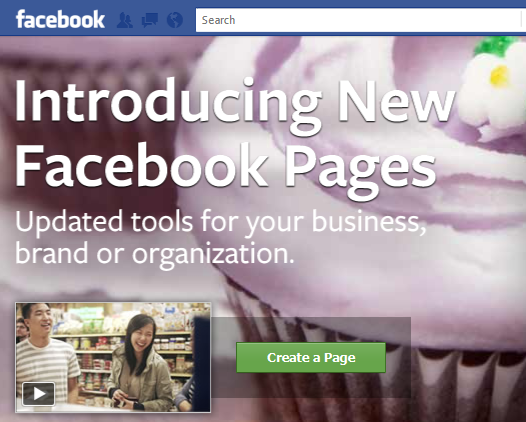 Facebook says all pages will be forced to change to the Timeline format on March 30, 2012. Will you be ready? Below is a list of some brands who have switched to the new Facebook page Timeline format.